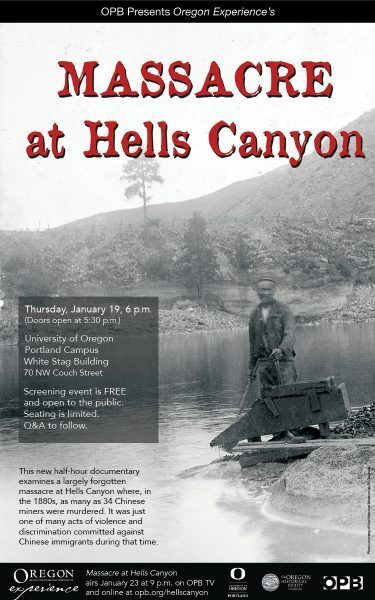 A preview of Oregon Public Broadcasting’s Oregon Experience documentary, Massacre at Hells Canyon will be screened on Thursday, January 19, 6 p.m. at University of Oregon, Portland Campus, White Stag building, 70 NW Couch Street, Portland, OR. The program will air on OPB TV on Monday, January 23, 2017 at 9 p.m. It will also be available online at opb.org. Included in the documentary is a short clip about the Chinese Exclusion Act Files at National Archives-Seattle.